Dr. Tolga Çukur of the Department of Electrical and Electronics Engineering has been chosen by the “Science Heroes Association” to receive the 2017 Scientist of the Year – Outstanding Young Scientist Award. This award is given to scientist under the age of 38, who made significant contributions to the fields of Basic Sciences and Engineering, and pioneered the development of these fields in Turkey and contributed to their visibility in our country. 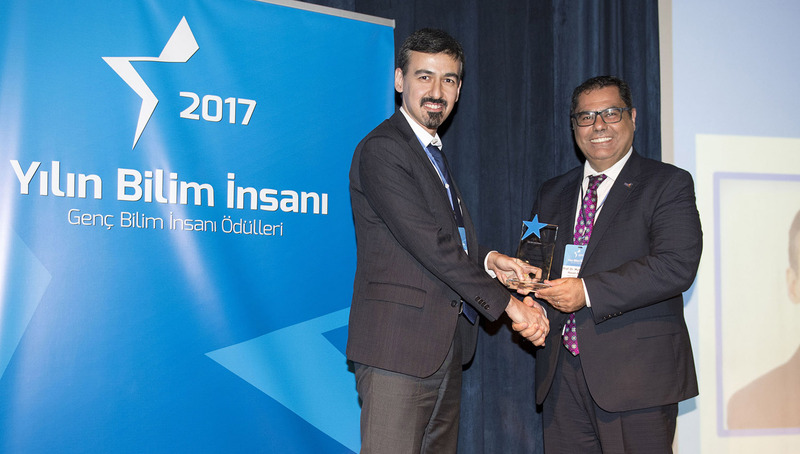 Dr. Çukur was given the award in recognition of his contributions to Magnetic Resonance Imaging (MRI) technology and its clinical and neuroscientific applications. He developed imaging technologies that are less invasive and more affordable, and at the same time significantly faster and more sensitive than existing modalities for advancing diagnostic and therapeutic applications. In the neuroscientific domain, he investigated the anatomy and function of the human brain during complex natural behavior, with the overarching goal to underpin enhanced diagnostic and treatment strategies for debilitating neurological disorders.